We are all sad as we say goodbye to our beloved companion Toes. Toes has been battling with kidney disease for years and Dr. Brilla layed him to rest this September. Even though we will all miss him, we can find some peace in knowing that he will be reunited with his long time friend, Radar. Toes has always been a constant in our Clinic and in our hearts and we will miss him greatly. A little kitten found in the middle of Main Street in front of the grocery store was brought to Northland Veterinary Services in 1998. The kitten was picked up and brought home shortly after. A few days later, he was found again in the middle of the road and brought to us. After 2 or 3 times, we had come to a mutual agreement that Toes (aptly named for the extra toes he has) should just stay here! 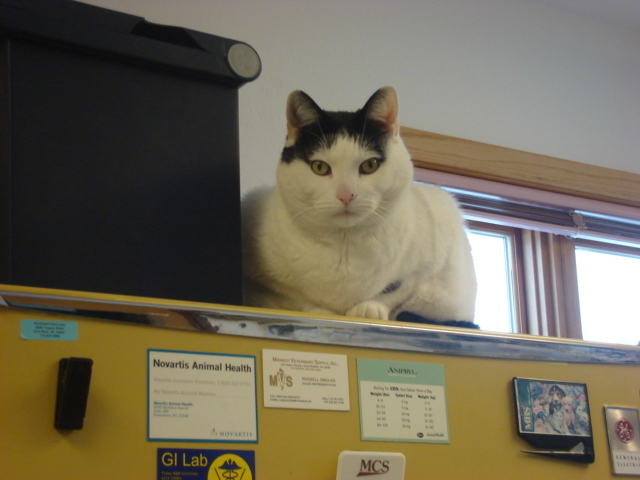 He has lived here, happy and content, ever since as the second resident of Northland Veterinary Services. 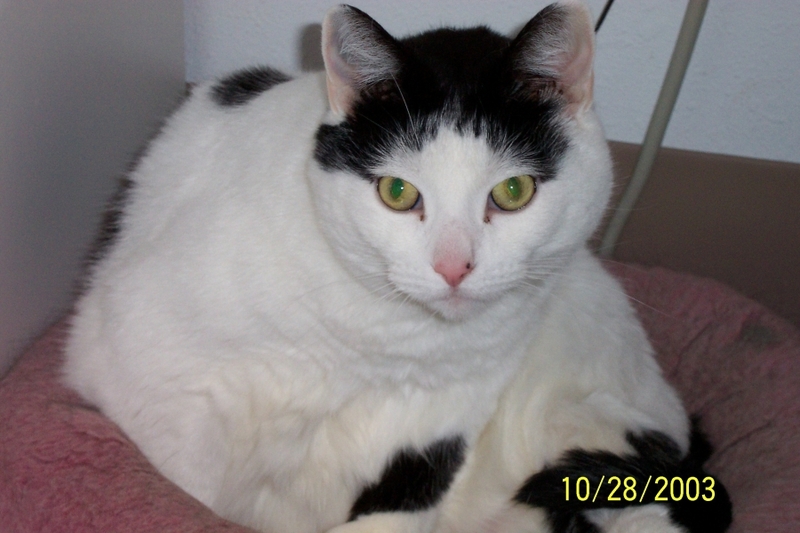 Dr. Brilla's sister rescued a litter of kittens in the early winter of 1995. The kittens were given names in honor of all of the MASH characters like "Hawkeye", "Trapper" and "Radar". They quickly established a routine at their new home following a shoveled path back and forth from the house to the barn. When the snow melted, they soon realized that one of the kittens, ironically named Radar, couldn't find his way around the yard without the familiar snow-bank boundaries. Dr. Brilla had concluded that Radar was born blind. For his safety, Radar came to live at the clinic as the first resident of Northland Veterinary Services. Our beloved Radar will always be remembered for the insight he brought to our lives- both professionally and personally. He showed us how to accept our inabilities and still face the world with a bright outlook. He taught us how to empathize with our patients and look at the world through their eye. He always reached out in friendship to strangers without prejudgement.